You can make a difference. It may seem sometimes your efforts don't count for much, maybe it seems they don't count at all. But your actions send a message--you show that choosing to act, to give, to speak out allows lives to be changed forever and they (and you) will never be the same. Your donation allows us to save lives, restore hope, and provide purpose to lives without a voice, especially children. We work in partnership with you and with other organizations who are also seeking the most constructive solutions to help others help themselves to create sustainable life solutions. Financial donations are accepted here, please contact us (Admin@pointhope.org) if you have another type of donation you want to make. An Angel Tree was set-up at a neighborhood business and donations were collected for the annual Point Hope Teenista for girls in foster care. We also had to collect financial donations to make the event successful. Tell your friends, family and strangers about the lives who are touched, the food grown, the trees planted, the mentoring of teens, the spark of life brought back to a child's eye, the medical help provided. You want to help Point Hope and simply giving money is not enough? We need you to share our story! Delilah is ALWAYS a great voice for Point Hope, but she would appreciate YOUR help! 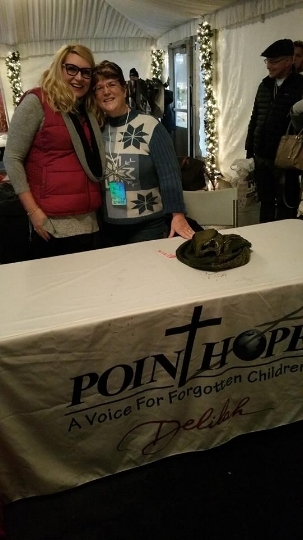 The work of Point Hope is so important, won't you please share? Volunteering isn't always glamorous (and doesn't mean you have to board an airplane). 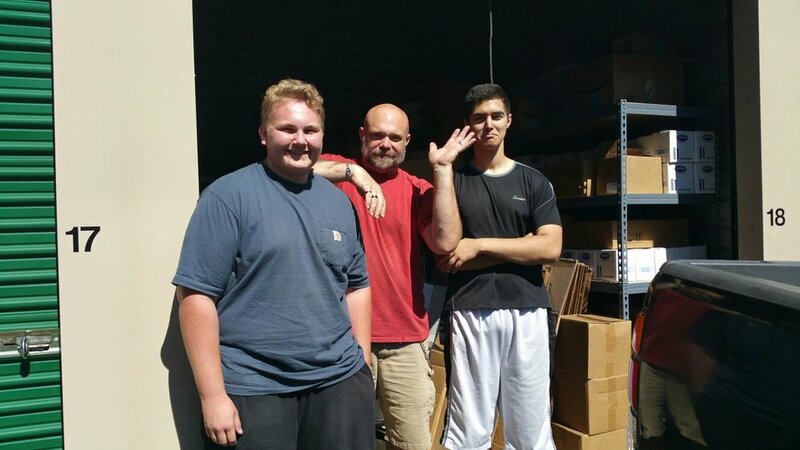 Sometimes, as was the case with Michael, Tom, and Isaiah, volunteering can mean moving, stacking, hauling and getting things in place at the Point Hope storage facility so donations can bless others later. Blessing and Jessie came across the ocean to volunteer with Point Hope Ghana (mostly to hold a whole lot of kids--and did they ever! ), which only goes to prove, no matter their age or experience, ANYONE can volunteer and be a voice for forgotten children. You may have thought about going to other countries to volunteer or you may want to volunteer in your own backyard. Either way, your time is valuable and the reason to volunteer must resonate with you. Point Hope has meaningful opportunities for the right person. There's no better way to make an impact than to become a Point of Hope yourself--to volunteer at home, consider becoming a Point of Hope. To volunteer in West Africa with Point Hope Ghana (where the opportunities are almost endless: Nutrition, Early Childhood Education, as a part of a Medical Team, Construction, Agriculture, Sports, Teaching in classrooms, Sharing a Special Gift you have, Feeding & Interacting with children, Physical Therapy with Children of Special Needs, to name a few), take your time to read through the information provided, fill out a simple form, and buckle up for an adventure!